Click here to view my Photo Album containing many color photos of gunstocks that I have recently finished for my customers. Click on this link now, you will be taken to a new Web site that has many ( 70 or more ) of my stock finishing photos. Thanks for taking time to look at some of my stock finishing work. 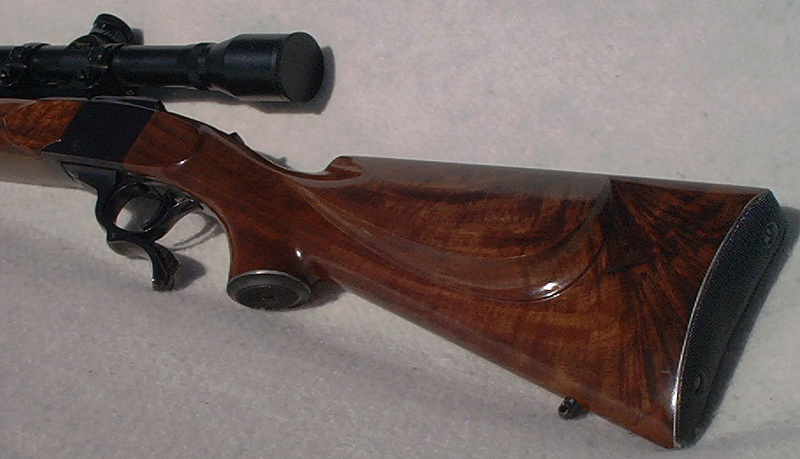 On this home page I will provide you with quick and accurate information that will help you obtain a finely finished gunstock, with rapid " turn-a -round time", at an affordable price . Upon request, I can provide the names & E-mail addresses of many of my recent customers who will gladly discuss their " finished product" results with you via E-mail. 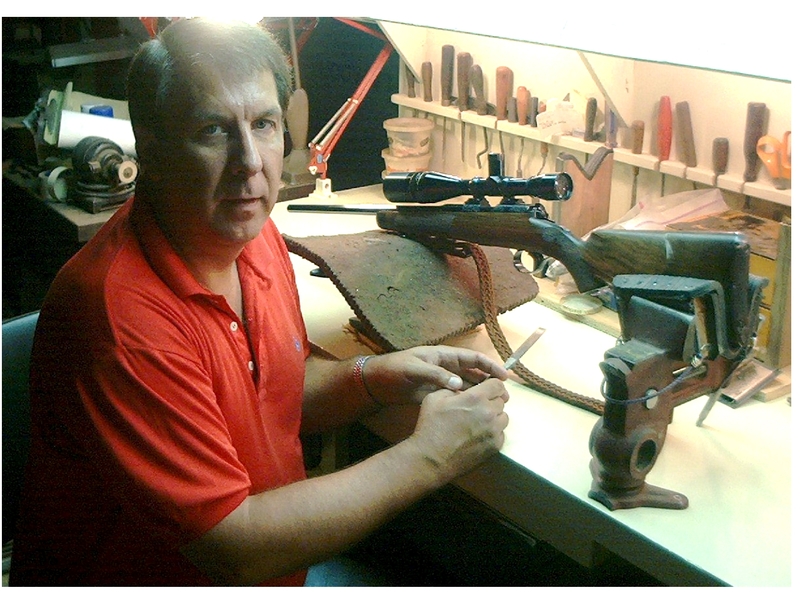 The photo to the right is my personal rifle, a Ruger # 1 with a AAA Fancy American Walnut stock with a shadow line cheek piece. I preformed all the shaping and finishing work on this stock. By the way.......It shoots as nice as it looks........ 1/2 " groups @ 100 yds. 25 YEARS EXPERIENCE IN STOCK FINISHING.